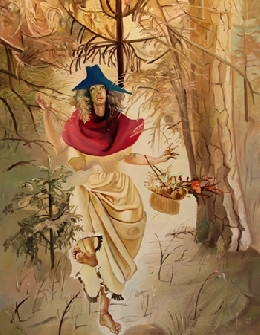 The unusual personality and vivid talent of MAIJA TABAKA, after 40 years of active contribution to Latvian painting, still gives rise to debate as intense as it was at the beginning of her artistic development. 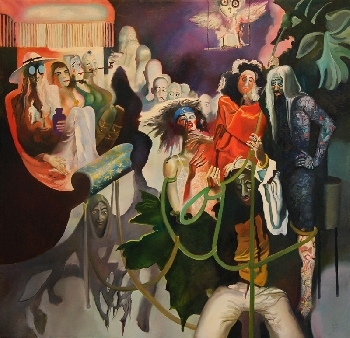 Provocatively alien to the mainstream of Latvian painting of the 1970s, her art retains to this day its aureole of an off-beat phenomenon. 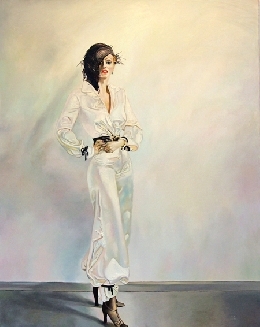 The artist had formed her own independent style of painting in the seventies when appeared characteristic figural compositions with portraits of the main heroes, detailed depiction of the environment, interiors and costumes. The people in her paintings personified the urban culture of the new age and demonstrated that which officially endorsed art was careful to hide: interest in the private world and social escapism. Maija Tabaka was interested in young people who stood completely aloof from the ideals of the ruling ideology and were instead attracted more by the achievements of Western capitalism in rock and jazz, in contemporary design, art and undeniably also fashion. 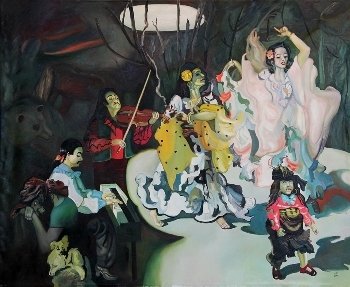 Glamorous figures, use of cinematic techniques: spotlighting the faces and attaching great importance to details, special costumes, staged unreal situations, the simultaneous representation of many layers of reality were characteristic to the images of Maija Tabaka’s paintings. Success came to Tabaka surprisingly soon, most demonstratively in the international context. 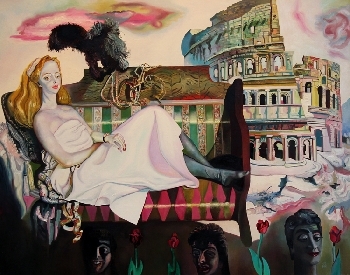 Thus, she participated in the 40th Venice Biennale, won German Academic Exchange Service DAAD (Deutscher Akademischer Austausch Dienst) scholarship competition (1977), judged by the jury of the Kassel Documenta of that year, and also became friends with the Fluxus artist Wolf Vostell and Valdis Āboliņš, an activist of the movement and important figure in West Berlin art structures, entering into a long-lasting correspondence with them. 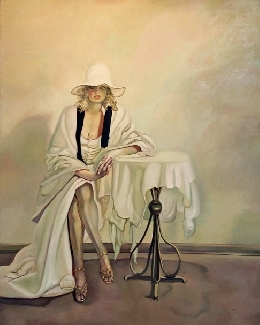 Maija Tabaka’s works are found in collections of the State Museum of Art (Riga), the Artists’ Union of Latvia Museum (Riga), the State Tretyakov Gallery (Moscow), LudwigMuseum (Cologne, Germany), Berlinische Galerie (Berlin, Germany), JaneVoorheesZimmerliArt Museum in RutgersUniversity (New Brunswick, New Jersey, USA) as well as in many private collections. 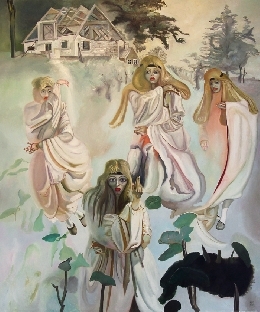 Artworks which have already become iconic, such as „Wedding in Rundāle” (1974), „Women” (1974), „Artist Wolf Vostell with His Family” (1978), „Basketball. 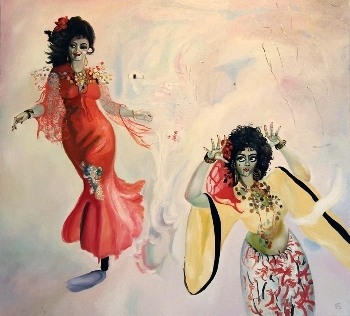 TTT” (1980), „Self-Portrait” (1981) were shown at the White Hall of the State Museum of Art. 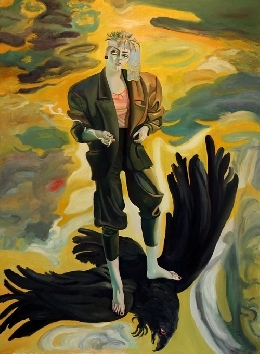 These paintings demonstrate the influence of photorealism because in the distant 1970s Maija Tabaka and a group of like-minded fellows – Bruno Vasiļevskis, Imants Lancmanis and others – had stable interest not only in Western European painting but also in American photorealism and its different manifestations. The tone of the exhibition is set by an artwork known only from reproductions – „Portrait of Maija Tabaka” made in 1978 by the world-famous German artist Wolf Vostell. 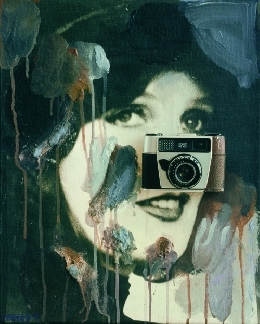 The artist characterizes precisely the personality of Maija Tabaka and her artistic interests, combining the image of a Romantic beauty with a cool analytical gaze and a symbolic photo camera at the centre. 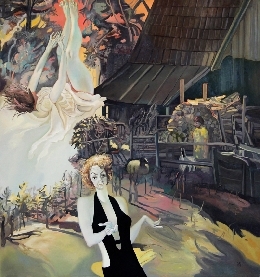 Riga Gallery will exhibit fourteen large-size paintings by MAIJA TABAKA. 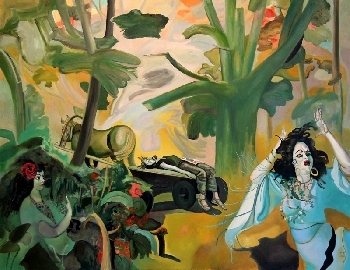 Several important artworks painted during the Berlin Period will be on view, such as „Jungle” (1977), portraits of the Latvian actress Regina Razuma, some paintings from the Gypsy series that got lost for a variety of reasons or ended up in important private museums and collections. Exhibition curator and exposition concept author – art historian, Riga Gallery Director Inessa Rinke. Artists’ Union of Latvia Museum, Riga / Latvia. State Tretyakov Gallery, Moscow / Russia. Berlinische Galerie, Berlin / Germany. Ludwig Museum, Cologne / Germany. 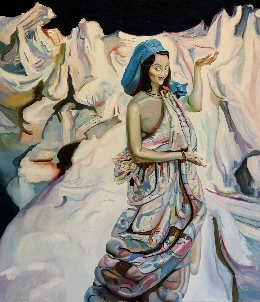 Jane Voorhees Zimmerli Art Museum, Rutgers University, New Brunswick / New Jersey / USA. 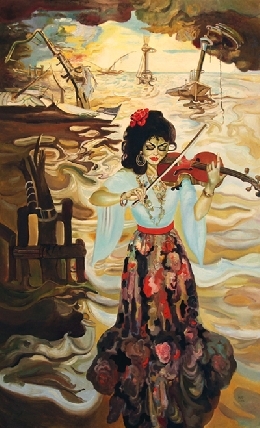 Ainārs Gulbis’ private collection, Riga / Latvia. Rīga – latviešu avangards [catalogue]. Berlin: 1988. — 80.